RSS feeds are easy to create but hard to get right. There are many pitfalls and a lot of compatability problems can arise. Common problems with feeds have symptoms like duplicate posts, irregular dates. Sometimes the feed reader simply can’t understand the feed. In this article we will cover how to validate RSS feeds. Luckily there are many tools to let you validate your feeds and to make sure everything will be smooth sailing for your users. To test your feed simply enter the URL where it is located, or copy and paste the text in your RSS feed file. You might get a lot of warnings which might look very scary and intimidating. Most RSS readers will work anyway. The developers build them so they work around these errors, so fear not. The best way to learn the most common pitfalls and how to make fully working RSS is to work at Feeder. Consequently, that is why we decided to build our own validator. 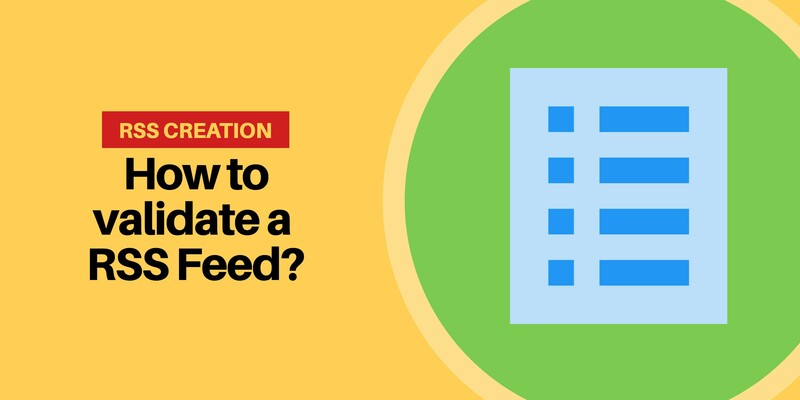 In the article below you’ll get steps to see how the Feeder parser parses your feeds. https://feeder.co/help/website-owners/validate-my-rss-file/.